The words in the song that stood out to me are the ones I have used on my digital page. There are times I feel this way but it is so wonderful to grab hold of the promises of God and know He never leaves us and all we need do is acknowledge Him and ask for His help in all that we do. We have no need to feel "worn" but we do. 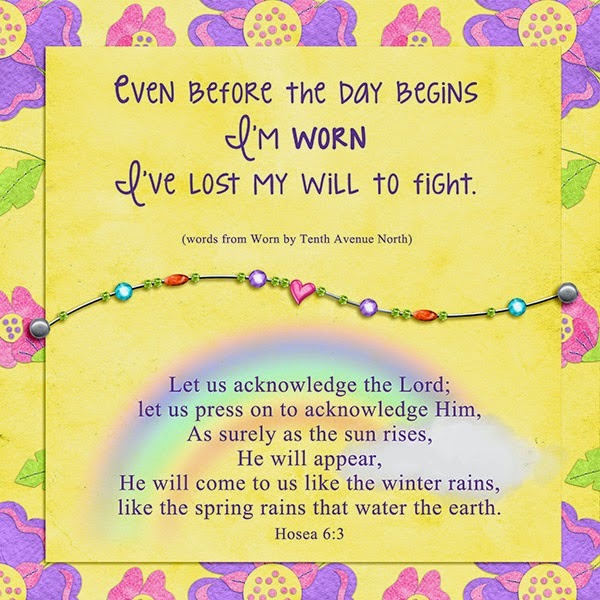 He loves us and does bless us with those "winter and spring rains" in life's journey. You make beautiful cards. I love the colors here and the rainbow is awesome.